I have brought together my images taken at RIAT into one folder, 2018 will be added after the show. 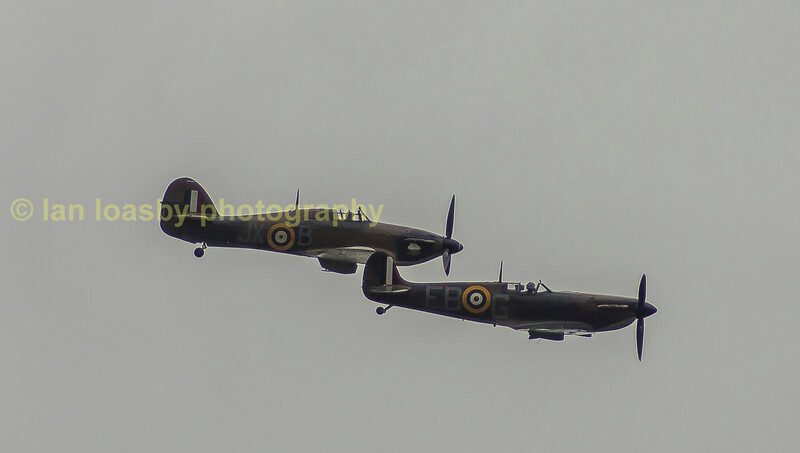 The Battle of Britain Memorial Flight (BBMF) is a Royal Air Force flight which provides an aerial display group comprising an Avro Lancaster, a Supermarine Spitfire and a Hawker Hurricane. The aircraft are regularly seen at events commemorating the Second World War and on British State occasions, notably Trooping the Colour which celebrates Queen Elizabeth II's 80th birthday in 2006, as well as the wedding of Prince William, Duke of Cambridge and Catherine Middleton in 2011 and at air displays throughout the United Kingdom and Europe. The flight is administratively part of No. 1 Group RAF, flying out of RAF Coningsby in Lincolnshire.